Pope St. Pius X was asked after his election, what would be the programme of his pontificate. 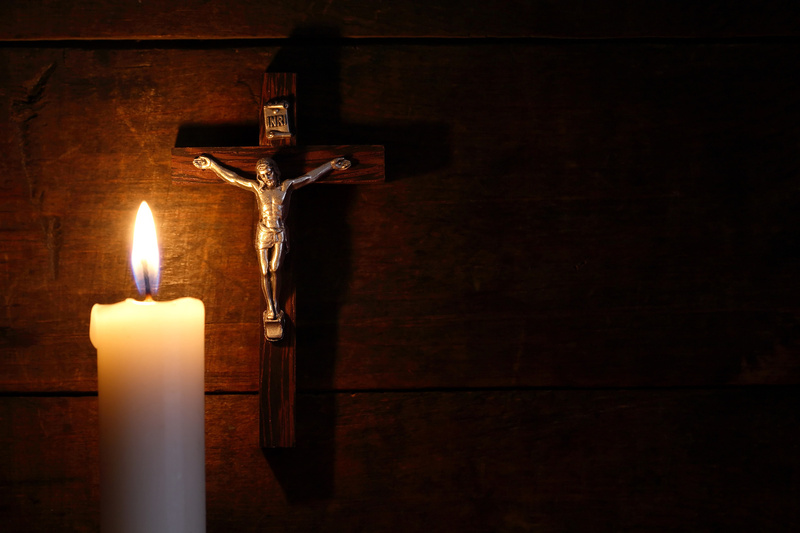 He pointed to a crucifix and said, “This is my programme.” As the Lord began to instruct His disciples on the purpose and goal of His mission, it became increasingly clear that the cross lay at the very heart of His programme. 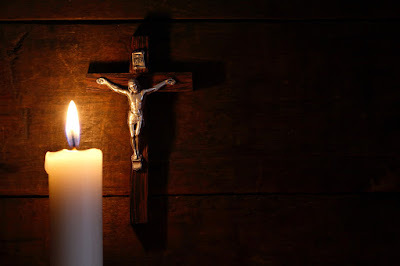 In a similar vein, when we speak of Lent, we too can point at the crucifix and say with the same conviction, “This is my programme.” Today’s gospel leads our Lord closer to the very goal of His programme. Each trial which He faced and overcame, each revelation of His personal identity and mission, each action which resulted in the escalation of conflict with the powers-that-be, led Him one step closer to the goal of His programme – the Crucifix that awaited Him on Mount Calvary. Of all four evangelists, the Fourth Evangelist alone records our Lord’s cleansing of the Temple at the beginning, not the end, of His ministry, during Passover. The scene the evangelists describes as taking place in the temple area is a common one. Merchants are actually conducting business in the Court of the Gentiles (the outer most courtyard of the temple complex). Some are selling animals for sacrifice (as a convenience for those traveling long distances and needing an animal for sacrifice upon their arrival). Others are moneychangers, there to exchange profane currency for the religious one so that the half-shekel temple tax can be paid (profane coinage have portraits on them believed by the Jews to be idolatrous and therefore are not allowed in the temple). All of the goods and services being provided are for the temple rites. The hustle and bustle of market life is compounded by the editorial note that this event took place during the Feast of the Passover, one of the three great pilgrimage festivals, which could witness the crowds swelling to phenomenal proportions. Imagine the chaos that must have descended upon the city when those crowds all hit the temple market. What exactly did our Lord find objectionable, since those selling cattle, sheep, and doves as well as the money changers were providing a legitimate service for pilgrims to the Temple? There was a stated purpose to the outer court or the Court of the Gentiles and a veritable marketplace was not it. As its name indicates, the Court of the Gentiles was a space that everyone could enter regardless of culture, language, or religious profession. In a highly complex system that discriminated against those who risk contaminating the Temple worship, having a section of the complex dedicated to the Gentiles is fascinating and quite telling. Already, there is subtle hint that the Jewish religion was meant not just exclusively for the Jewish nation but for all nations. This space was where the rabbis and the teachers of the law gathered, ready to listen to people’s questions and to respond to these questions. It was a place for teaching and evangelisation, for stirring the embers that lay dormant in stone cold hearts and igniting the flames of faith, for drawing the crowds in to worship the One True God. But its intended purpose was vitiated, corrupted even by the market. What was Jesus’ response to this scenario? The gospel tells us that making a whip of cords, He drove them all out of the temple, with all the animals. And He poured out the coins of the money-changers and overturned their tables. And He told those who sold the pigeons, “Take all this out of here and stop turning my Father’s house into a market.” The word translated “market” is the Greek “emporion,” from which we get our English word, “emporium.” The marketplace, rather than facilitating true worship in the Temple, had blurred its primary purpose – man’s primary purpose – to worship the One True God and anything that detracts or distracts from this, is neither worthy of God, nor of divine worship. The prophetic and radical action of Jesus in today’s gospel invites us to an honest and careful examination of our own Christian worship. What brings us here? Hopefully we are here to adore the living God who shares His life with us, and to deepen our life in Christ through our prayerful dialogue with Him, expressed through the living word, through sacred hymns and canticles, through receiving His true body and blood and through ancient rites expressive of the beauty of holiness. We are here to participate in the harmonious song of salvation. Hopefully, we have come here because we have a zeal for our Father’s house that makes us want to be here, not because we have to, but because we want to! But the fact is that this is not always the case. Our culture of worship seems to have been so overtaken by the secular culture of irreverence. Today, irreverence is understood as something that is humorous or entertaining, which is the standard for acceptability, particularly when the irreverent defies any standards of decency or conventional mores. Holiness, on the other hand, is often viewed as a neurotic disorder. We can witness the invasion of the “market”, the “emporium” into the “house of prayer,” in the form of the loss of the sense of the sacred, both in how we pray the liturgy and the way we act or present ourselves within the church, in the clothes we wear, the music we sing, the casualness of our behaviour. We have forgotten that our fundamental vocation is to worship God. Whenever we play to the crowd and seek to be popular, progressive and even fashionable, we risk transforming the Temple once again into the emporium. It is as if we are auctioning God to the highest bidder. We risk peddling the Word of God, whenever we attempt to manipulate it to fit historical, political or ideological circumstances, for the purpose of pleasing men and acquiring a reputation of being avant-garde. The church must therefore be that singular place in our society where the focus can be kept on what is most important – God. It is our duty to preach the centrality of God and to call people back to His true worship. It’s high time we return the Temple to its rightful purpose and cease to bend and reshape it to the market forces of society. It’s time to restore God’s primacy in the hearts of men and of societies, to restore “the eclipse of God” in contemporary society. “To preach Christ crucified” (1 Cor 1:23), this is and should always be our programme.